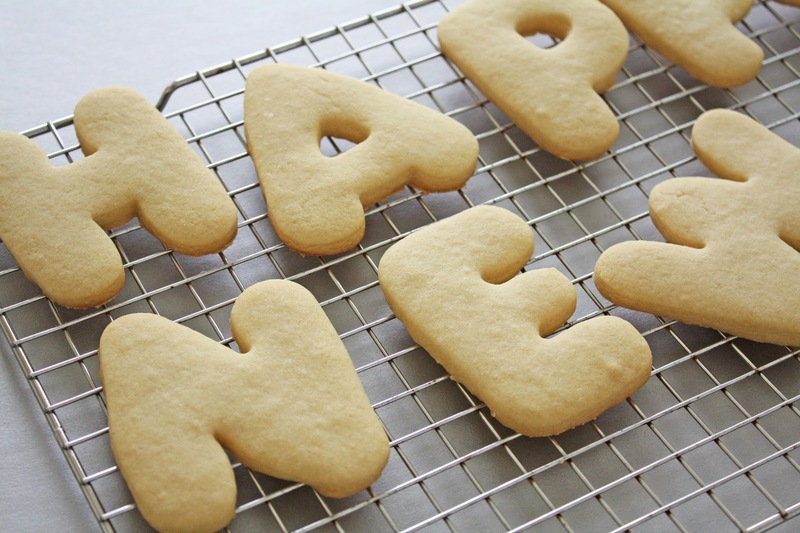 Hosting a New Year’s Eve party this year, or need something fun to bake with your kids? How about making these festive "New Year" letter cookies this year. You can put them out on a dessert table as a fun New Year's touch, eat them right away (probably what I would do), or hand them out as midnight favors. Just package them in clear cellophane bags with pretty ribbon and download a cute gift tag from one of n our free New Year’s printable collections! 1. Preheat oven to 375 . Grease a baking sheet. 2. In medium bowl, cream together butter and sugar. Add in egg and vanilla. Mix to combine. 3. In a separate bowl, sift together flour, baking soda and salt. 4. Combine flour mixture with butter mixture in three additions, mixing with each addition. 5. Form dough into a ball and place on a surface sprinkled with powdered sugar or flour. 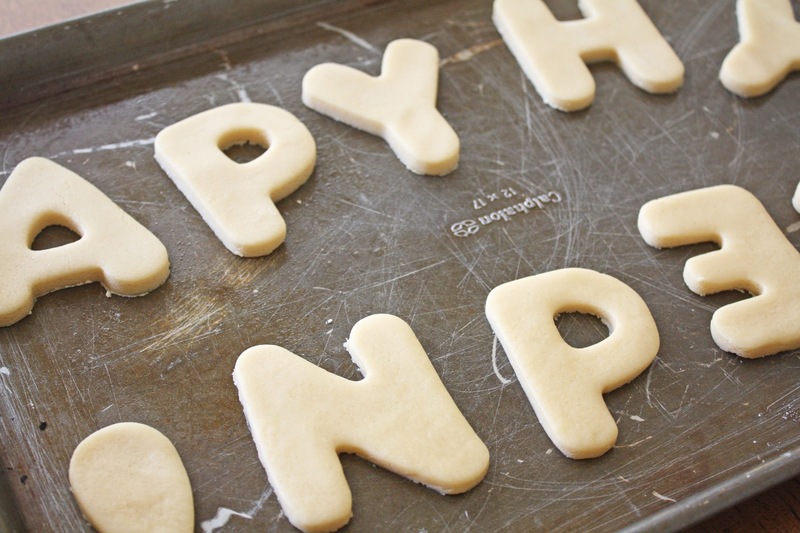 Roll out dough to desired thickness and use letter cookie cutters to spell out “Happy New Year.” Or you can spell out anything you like! 7. 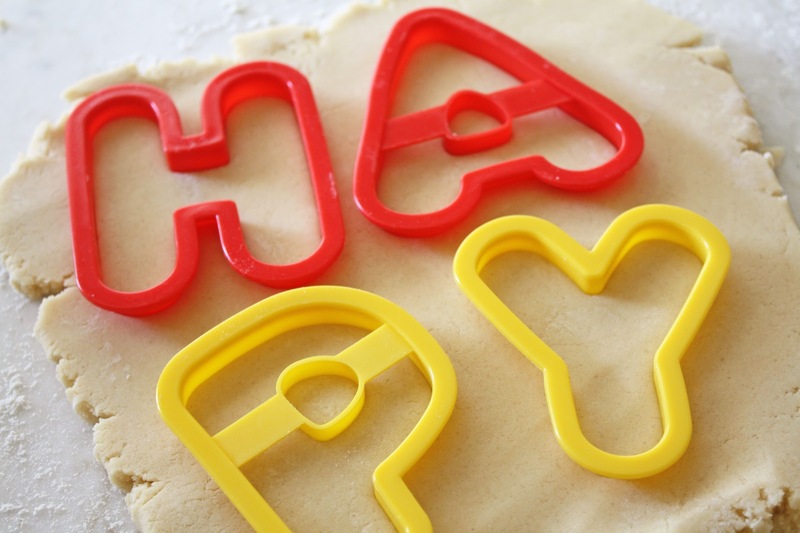 Bake cookies for 8­-10 minutes and cool on a wire rack. 8. 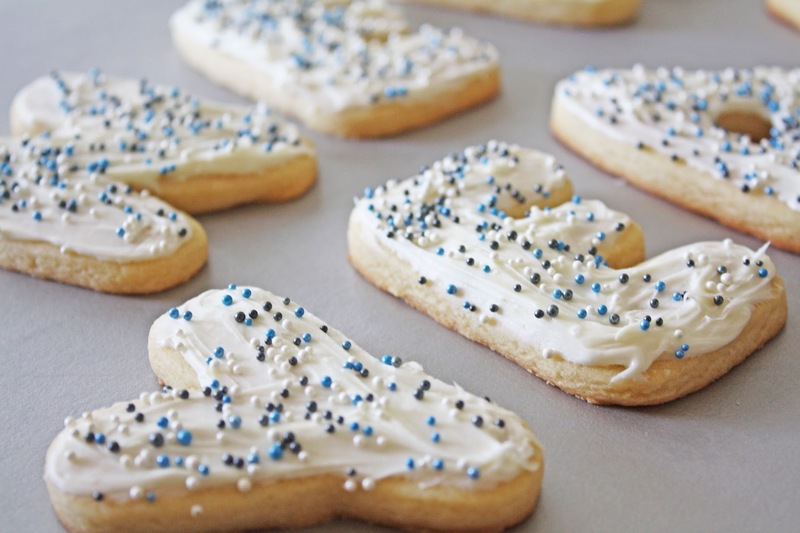 Frost cookies with pre­made, whipped vanilla frosting. The whipped frosting is easier to spread! You can always use homemade. 9. 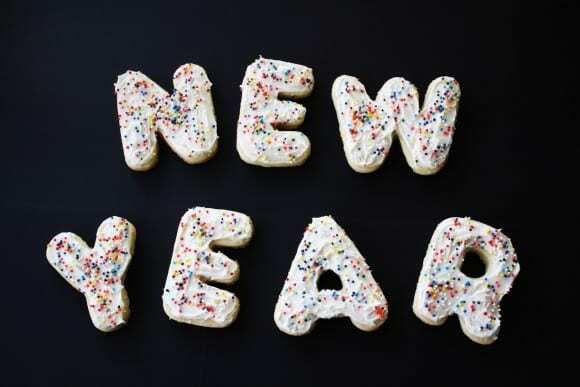 Add colorful sprinkles and you've got it! Your guests (and/or kids) will love these! 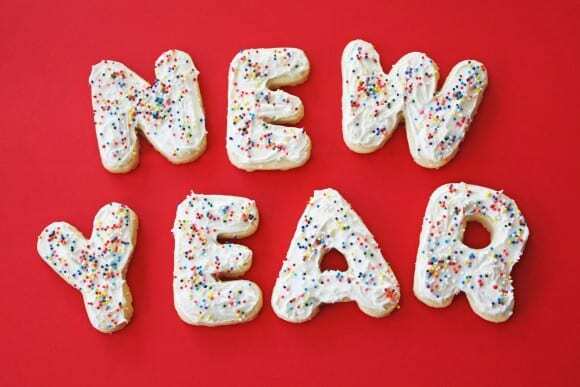 For more inspiration, check out all the incredible New Year's parties on our site, our free New Year's printables, and our New Year's craft and recipe ideas. 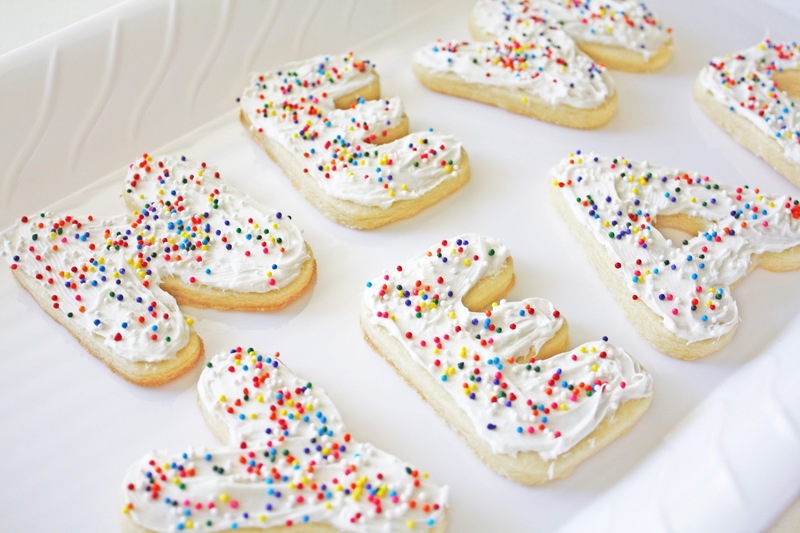 These yummy cookies were created by our style and craft contributor, Shauna at Ella and Annie Magazine! To see more of Shauna's work, check out Ella and Annie Magazine and visit them onFacebook,Twitter, Instagram, and Pinterest.